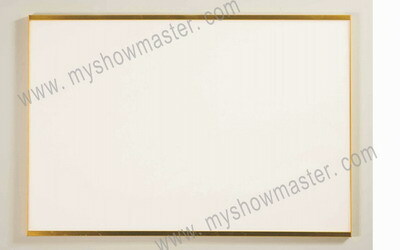 ShowMaster safety glass whiteboard is the whitest board in the world. The whiter the board is, and the larger color contrast of characters on the white board is, the clearer characters will be obtained. When the characters on common white boards can hardly be seen in long distance or in dark light, SHOWMASTER white board can still display its excellent performance and help you see clearly. 1.Worldwide initiative general glass white board, the whitest of boards in the world. 5.Mass production,the quality is controlled by ISO9001-2008 System, CE certified. 2. good performance on mark pen writing and dry-wipe , no resistate left and no need to clean with wet cleaner termly . Also alsways be easily erased after a long time .